Many articles in “in silico” drug design implemented genetic algorithm (GA) for feature selection, model optimization, conformational search, or docking studies. Some of these articles described GA applications to quantitative structure–activity relationships (QSAR) modeling in combination with regression and/or classification techniques. We reviewed the implementation of GA in drug design QSAR and specifically its performance in the optimization of robust mathematical models such as Bayesian-regularized artificial neural networks (BRANNs) and support vector machines (SVMs) on different drug design problems. 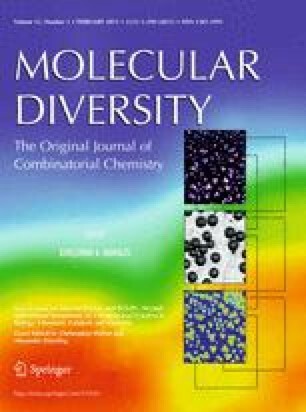 Modeled data sets encompassed ADMET and solubility properties, cancer target inhibitors, acetylcholinesterase inhibitors, HIV-1 protease inhibitors, ion-channel and calcium entry blockers, and antiprotozoan compounds as well as protein classes, functional, and conformational stability data. The GA-optimized predictors were often more accurate and robust than previous published models on the same data sets and explained more than 65% of data variances in validation experiments. In addition, feature selection over large pools of molecular descriptors provided insights into the structural and atomic properties ruling ligand–target interactions.